For over ten years Ashley and his passionate team have built an exciting business. They pride themselves on fantastic customer care and offer a variety of services including the latest professional cutting and colouring techniques and timeless wedding hair. Enjoy their shiatsu massage chairs, experience a full colour consultation at the colour bar and try their range of in-salon deluxe hair treatments. The latest magazines and a wide selection of refreshments to choose from means you can sit back and enjoy optimum relaxation in contemporary surroundings. I love my new style and colour! The stylist was very skilled and had great advice. She really knew what she was talking about. I've also never experienced such fantastic customer service or such lovely, friendly people. 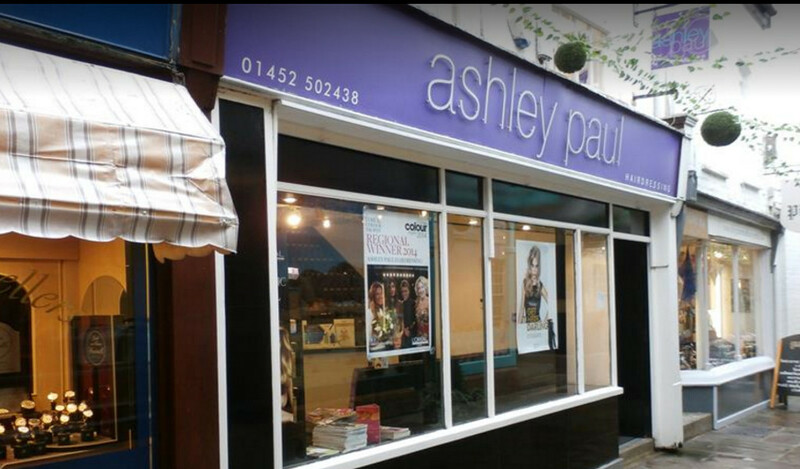 I'm so pleased I tried Ashley Paul as I had considered a few of the big names in Gloucester. Give it a try, you won't be disappointed. My husband has been going to have his hair cut with Ashley since before Ashley had his own salon. When I was let down by another hairdressing chain, (not Cream or Blushes), I changed to Ashley Paul. Every visit is a pleasure, with polite, attentive staff who want you to feel like a million dollars by the time they have finished with your hair. Over many years, I have had my hair long, short, very short, blonde, red, purple and it has always been coloured with care. Ashley has brought in many staff over the years and mentored them well, so that they become confident, competent hairdressers. I do not hesitate to recommend Ashley Paul Hairdressing to friends and family. My best and favourite place to be - fun and laughter as well as the greatest hair cut every time! I certify that this review is based on my personal experience of Ashley Paul Hairdressing and is my opinion. I have no business or personal link with Ashley Paul Hairdressing and have not been offered payment to write this review. By providing these comments you give Good Salon Guide permission to review and publish this information. Good Salon Guide reserve the right to edit comments for length, spelling or clarity where appropriate. As part of this appointment request Good Salon Guide will record your name, email address, telephone number and appointment details. This information will be passed to Ashley Paul Hairdressing by email, through the Good Salon Guide app and over the telephone. This data will not be shared with any other companies and we will manage your data in line with your preferences below.